This past week just seemed to go on and on. It was the kind of week where Wednesday felt like it should have actually been Friday. So when the weekend finally did arrive I basically just wanted to relax and maybe treat myself to some kind of chocolaty goodness. 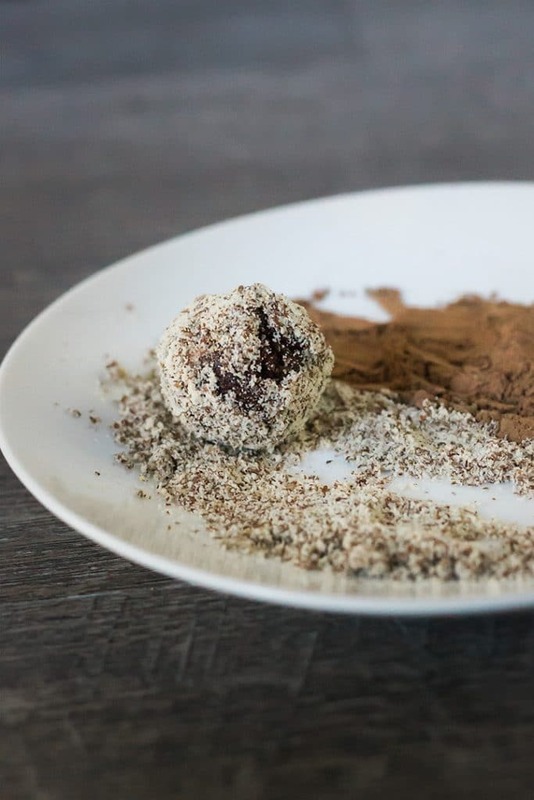 That’s where these vegan Baileys truffles come in. They are rich and just the right amount of sweet. Plus, it doesn’t hurt that they’re a little boozy too. 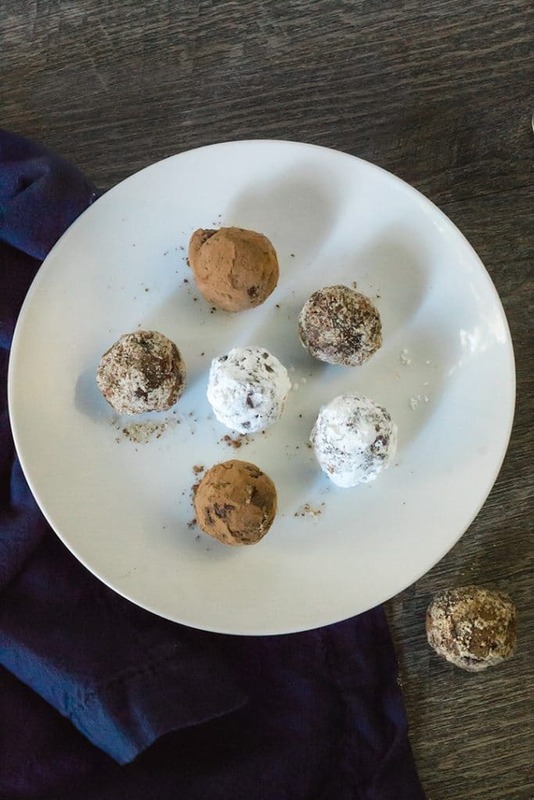 These vegan truffles are also ridiculously easy to make. 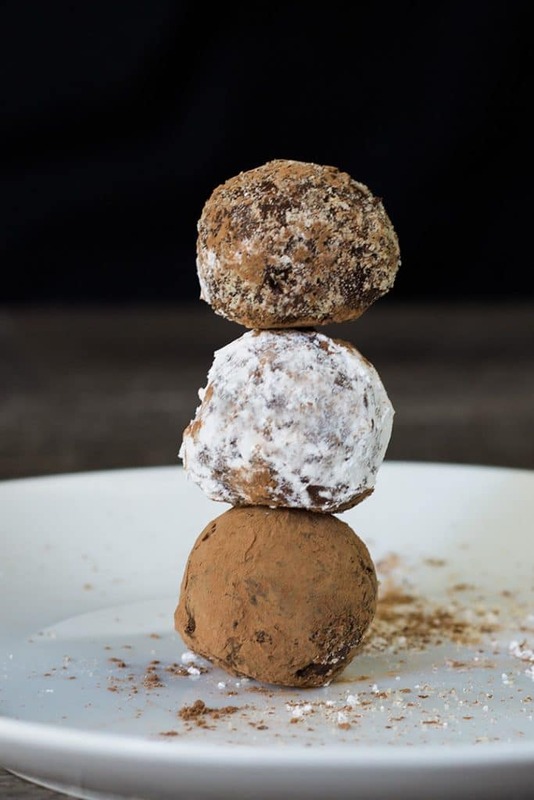 For more vegan desserts check out Vegan Salted Caramel and Baileys Ice Cream, Vegan Autumn Spice Oatmeal Cookies, and Triple Almond No Bake Cookies. 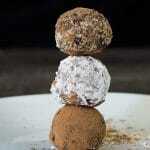 Delicious vegan chocolate truffles made with Almande Almondmilk liqueur. Heat the butter over medium heat until boiling. Add the Almande Almondmilk liqueur and stir. Remove from heat and add the chocolate chips. Let sit for a few minutes and then stir until it’s well combined. 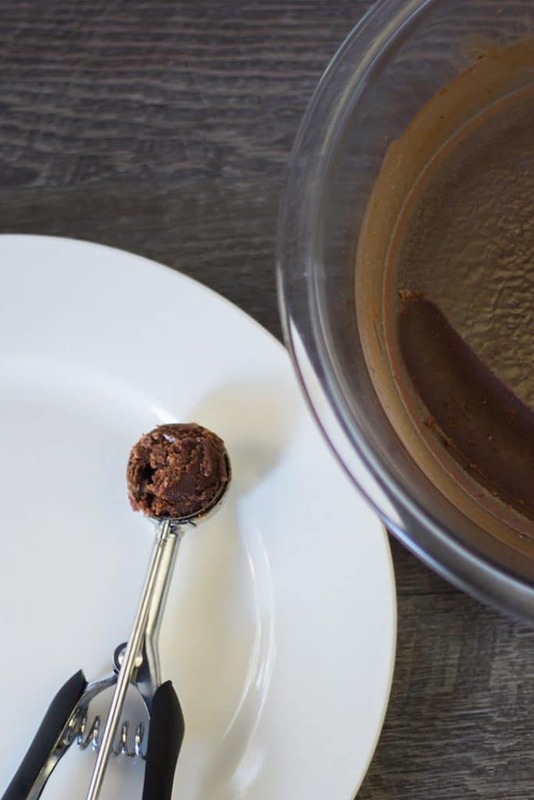 Scoop the chocolate into bite-sized balls. Roll them in between your hands to even out their shape if necessary.